The leaseholders have converted the premises to a gastro-pub. 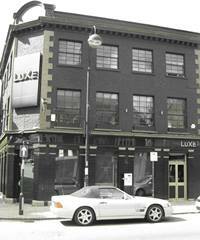 The leaseholders have started work on converting the premises to a gastro-pub. We have heard nothing since the licensing hearing when the leaseholders said they would convert the premises to a gastro-pub. On May 30th, the District Council held a licensing hearing on the police’s request to review LuXe’s licence, after a string of serious incidents. LRA Cllr Jill Angold-Stephens spoke on behalf of Loughton Town Council (and her ward residents) and I spoke on behalf of the LRA Plans Group. Four residents also attended, of which three spoke about the disturbances they suffered from customers leaving LuXe. The police were focussing on “crime and disorder”. 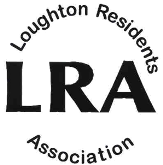 LRA Cllr Jill Angold-Stephens (on behalf of Loughton Town Council and the residents in her ward), me (on behalf of the LRA Plans Group) and three residents spoke on this and two of the other licensing objectives – public safety and the prevention of public nuisance. Closing time in the week will be at 23.30, and 00:30 on Fridays and Saturdays. (Current closing is midnight Sunday- Thursday and 02:30 for Fridays and Saturdays). On New Year’s Eve, closure will have to be at 1am (this is unusually early for licensed premises on this night). They will spend £300,000 on the re-fit, which will include removing the black paint and reverting to the Royal Standard name. The police asked for a further three months’ complete suspension (LuXe asked for only two months) for the re-fit and staff training. The panel decided on three months from now, which will mean peace and quiet for residents over the summer months. Use of the terrace - the licensing panel agreed to my plea for the alcohol licence to match their planning permission (no customer use at any time). They will be allowed to have “incidental background music” – the legal requirement is for customers to be able to hold a normal conversation over it. Any live music must finish by 11pm. I expressed concern over the future use of TENS (which allow later closing on a one-off basis, and which the Council and/or the police can object to, but which don’t allow for any public involvement). Many residents will be very disappointed that LuXe wasn’t closed down completely. However, once the police had agreed to their gastro-pub proposal, the way the (national) legislation is drafted meant there was no possibility of this happening. So the Panel’s decision to bring forward the closing time on Sunday - Thursday to 11.30pm from LuXe’s original proposal of midnight (as agreed by the police), and getting confirmation about the terrace, are considerable improvements. I am sure that the large number of objections which residents sent in to the Council played a great part in persuading LuXe’s management that radical changes were needed. In addition, these objections, and the strong personal testimony of the residents who spoke at the hearing, meant the Licensing Panel were persuaded to take a firm line. Obviously, residents and the Plans Group will be monitoring what happens when the premises re-open – another review can be requested if problems reoccur. When we looked at the situation in Loughton last November, there appeared to be no practical way of preventing Nu-Bar, LuXe and fifteen (York Hill) from carrying on as early-morning licensed venues - we have come a very long way in the right direction! David Linnell, LRA Plans Group Why didn’t the Council just close them down? I’ve had an email from a resident who thought the Council should have shut down LuXe completely! If only it were that easy. The Council are bound to apply the national legislation, which we (and our colleagues in the National Association of Residents Associations) have campaigned against vigorously. Basically the national legislation favours the licensees. If the police – as they did – say that they think the new proposals are satisfactory then, had the Council completely removed the licence, LuXe would have appealed and would have won (probably with costs against the Council). It can be immensely frustrating for Cllrs to take part in these reviews on this basis, but they have to act in a quasi-judicial way and follow the legislation. Unusually, the Panel went further than the agreement with the police by reducing the opening hours Sunday – Thursday, and firmly banning any use of the terrace by customers. The residents who attended the meeting spoke from the heart, and expressed the frustration – and rage – felt by residents in general. So I expected people to feel that the managers of LuXe had “got away with it”. All I can say, from my experience of these cases is that, given the police’s attitude, we did better than I could have expected. As to penalties, there may be a slight consolation in noting that they are having to raise £300,000 to re-fit the premises, and are losing 4 months income (they’ve been closed for a month, and have to stay closed for another three, not two as they asked for), and are facing a doubtful future – is there enough business in the High Road for yet another restaurant business? If, when they re-open, residents start to suffer problems again, we will be ready to help organise another review of the licence – but I live in hope that we won’t have to. On May 3rd, following an incident outside LuXe, Essex Police asked Epping Forest District Council for an urgent review of LuXe’s licence. 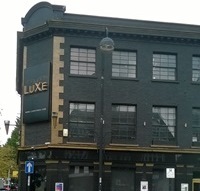 The Council have suspended LuXe’s licence, pending a full hearing this month (we don’t yet know the date of the full hearing but when we do we’ll publicise it here and elsewhere). For the Council to take action at the full hearing, they will need evidence from individual residents about the problems caused by LuXe. You can help by giving the council your views. This letter, that a volunteer will be delivering to residents living near LuXe, provides more details. Please let the council know your views by May 17th. The LRA Plans Group believes that late-evening alcohol and refreshment licences are not appropriate in residential areas like the High Road. 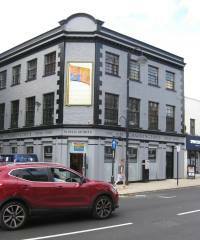 The District Council Planning Committee met on September 21st and considered a planning application on behalf of the freeholders to demolish the current building and replace it with 3 floors of flats and a restaurant on the ground floor and basement. The committee unanimously rejected (except for 5 abstentions) the application because of the bulk of the proposed replacement building and because it would mean the demolition of an (undesignated) heritage asset. It is now up to the applicant to decide what to do next, if anything – he could appeal against the decision, in which case the Council will let any-one who commented to them on the application know what is happening, or he could submit a new application reutilising or rebuilding the existing facades, in which case the LRA Plans Group will let residents know what’s happening. In the meantime, LRA will press the District Council to put into effect their Enforcement Action against the unlicensed operation of a nightclub on the premises.